Equal parts John le Carré and John Carpenter if both men were lobotomized and then let loose with typewriter and camera, Mile 22 spends most of its brief running time trying to figure out if it has something meaningful to say. All the while, it stacks a public body count up so high that it’s impossible to see how the clandestine force responsible is going to stay secret long enough to become a film franchise. And while the movie has ambitions at creating new intellectual property around the paramilitary Overwatch program introduced in the film, it’s a bit of a head fake for this first outing. For all its spy vs. spy setup and technobabble, director Peter Berg uses espionage as window dressing for a simple action setup that’s all about brute force. Mark Wahlberg heads up the CIA team as James Silva, a prickly leader whose instability is used as a stand-in for self-effacing humor. Silva’s team springs into action when a local source Li Noor (Iko Uwais) surrenders to a U.S. Embassy claiming to have information that can help stop a nuclear attack. Silva’s team of elite operatives are tasked with escorting Noor safely out of the country, which becomes a lethal mission when Noor’s own intelligence agency works to stop the extraction at any cost. To call Silva’s team ragtag would do a disservice to stereotype—it actually would’ve been nice if anybody rose to some level of quirkiness, or any distinction apart from fungible cannon fodder. Ronda Rousey comes close to having a compelling hook, which is: look, it’s Ronda Rousey! But the main emotional labor falls to The Walking Dead star Lauren Kerr as Alice, whose defining character trait is that she has a daughter waiting for her back home. Thankfully, the team—and the film—have a secret weapon in Uwais. The Indonesian martial artist and choreographer best known for The Raid series gets to show off his captivating fighting style that’s a ballet of bone dislocation. The downside is that he goes underused for so long that his breakout set pieces serve mainly as a reminder that you’d be better off watching The Raid. There’s a ludicrous nihilism underpinning the film that is almost refreshing for a Berg/Wahlberg pairing. But the script (written by Lea Carpenter) is so humorless it’s genuinely difficult to make out how much of this is Berg and company trying to make a statement about the War on Terror and how much is just the inevitable byproduct of a tight 90-minute cut that only comes alive during the brutal one-on-one fight scenes. John Malkovich’s arch turn as an anonymous and ultimately meaningless government agent, for example, is far more vital—and still relevant—under the direction of the Coen brothers in Burn After Reading than it is here, even though the two roles share an uncanny echo. 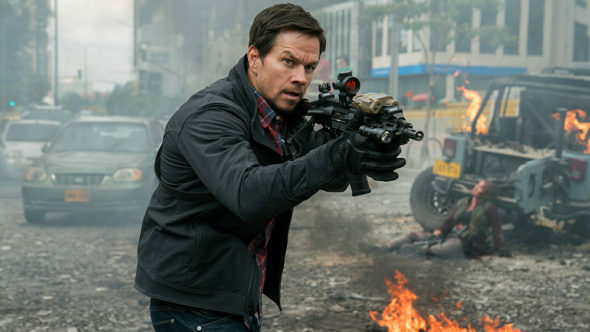 Mile 22 doesn’t offer up much replay value as anything more than a fun but forgettable live-action video game level. Although as far as meta-commentary on espionage thrillers goes, this strange blend of individualism and irrelevance might be all we have to look forward to for a while.